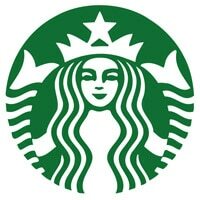 Customers at coffee chain Starbucks in Indonesia can now make mobile payments at 260 stores nationwide by scanning a barcode at the point of sale using the company’s mobile app and completing the payment using a registered Starbucks Card. Starbucks is also giving customers a complimentary drink with any beverage bought using a mobile device. “We are pleased to introduce the Starbucks Indonesia Mobile App to our customers, offering a fast and convenient way to pay for purchases, earn Stars and much more,” says Roger van Tongeren, vice president of marketing and operations at Starbucks Indonesia. Mobile payments now account for 25% of all transactions processed in Starbucks stores across the US, the company’s COO Kevin Johnson revealed during the coffee giant’s fourth quarter earnings call earlier this month.